'The Interrupters': Keeping Peace On The Streets Ameena Matthews is a former gang member who now works to stop retaliatory gang violence in some of Chicago's most dangerous neighborhoods. She is one of the subjects of a new documentary called The Interrupters. Ameena Matthews, a violence interrupter with the Chicago organization CeaseFire, mediates disputes to prevent gang violence from escalating. This interview was originally broadcast on Aug. 1, 2011. The Interrupters will be broadcast on Frontline on Feb. 14, 2012. For 11 years, former gang members in Chicago have entered dangerous neighborhoods in the city and staged group interventions for at-risk youth, in an effort to try to stop the cycle of retaliatory gang violence that plagues the city's western and southern neighborhoods. The men and women, known as "violence interrupters," work with an organization called CeaseFire, which operates under the assumption that violence moves through a city in the same way that an infectious disease moves through the body. To fix crime, says the organization, violence needs to be stopped at the source. But there's a problem: "Not just anybody can come in and tell a guy to put his gun down," says CeaseFire's director Tio Hardiman, in a scene from The Interrupters, a new documentary about the group. "Most of the violence interrupters come from the hierarchy in some of these gangs. [And they] have one goal in mind: to stop killings. They're not trying to dismantle gangs. What they're trying to do is save a life." 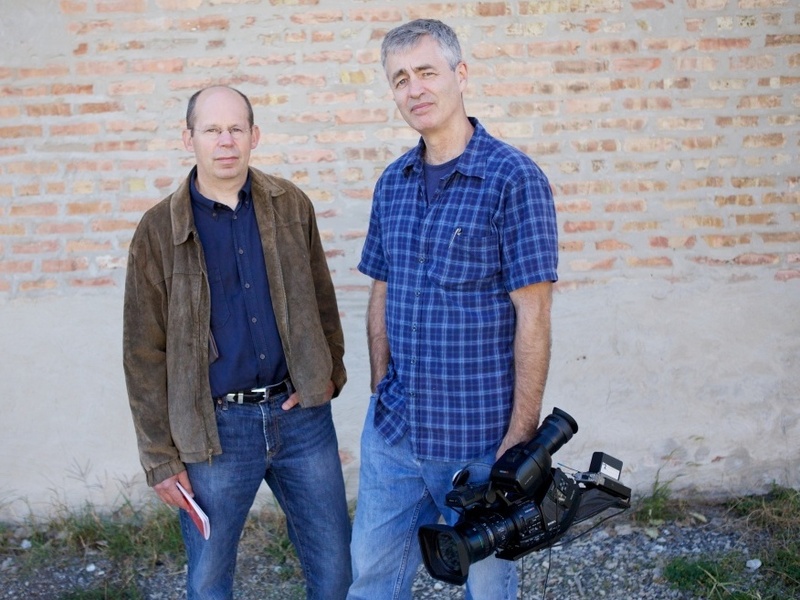 The film is a collaboration between Hoop Dreams director Steve James and journalist Alex Kotlowitz, who profiled their organization in 2008 for The New York Times Magazine. The topic of violence in Chicago hit particularly close to home for both men, James tells Fresh Air's Terry Gross. "Alex saw three people in the course of writing [his book There Are No Children Here] perish on the streets," he says. "And for me, two people [related to the cast] from Hoop Dreams ... were murdered. ... What we wanted to do, in some ways, was to refocus some attention on this issue because it feels like we've gotten to a point where murders are down, but they're still way too high. And I think there's this feeling that we've kind of done what we can do — and it's just the way those neighborhoods are at this point." Members of CeaseFire establish relationships with people affected by violence and then work to get them to channel their anger in non-violent ways. The film profiles three of the interrupters, including a man whose father was murdered and another who committed a murder when he was 17. The third subject of the film is Ameena Matthews, one of only two female members of Chicago's interrupters team. Matthews is the daughter of a famous gang member and had been in a gang herself — which, she says, gives her credibility when navigating potentially volatile situations among teens on the streets. "The first thing they'll say [to you] if you come on the block and you haven't lived or walked the walk, [is] 'How can you tell me anything? You don't know how I live. You don't know how I breathe. You don't know nothing,'" Matthew says. "And nine times out of ten, these little young guys and girls that I encounter, they know my father." I'm looking at 13, 14, 15, 18, 19-year-old men and women dying on the streets of Chicago. That's what's so profound to me about the violence. Gang members who aren't familiar with Matthews or her father will often do research on her before she comes back to talk to them again, she says. "And when I come back around, the way they look is 'Oh my goodness, what did I do to have this person come and speak to me?'" she says. "It's a door opener." When Matthews was heavily involved in gang activities, it was her Muslim faith, her children and grandmother who served as her own violence interrupters, she says. "[My grandmother] would step in the middle of raids, asking, 'Where's Ameena?'" she says. "Guns were drawn and she's not even looking at the guns or the gas that was thrown in the building to smoke us out, she's yelling my name and telling me to get my behind out. ... She was there." Alex Kotlowitz (left) is the author of There Are No Children Here, The Other Side of the River and Never a City So Real. Steve James is the director, producer and co-editor of Hoop Dreams. His other films include Stevie and At the Death House Door. Matthews: "When Steve and Alex were on location, [there was] still business that needed to be tended to. And that was something that I needed not to worry about, these cameras. I needed to make sure the business at hand was taken care of ... I didn't feel from my heart that Steve and Alex were there for any type of ill."
James: "It took us a long time to get Ameena to a place where she was fully open with us. She gave us access to her mediations and she gave us an initial terrific interview, but when we talk about this, there was a point earlier in the process where I think she did see us as maybe like the other media and she was really wondering, 'What is it that these guys really want?' And I think it took a while to get to that place." Matthews: "The issue is that I fought so hard to get to where I am today. And what I do in the streets, it's personable and it's personal but they wanted the storytelling about who Ameena is inside and out of being a violence interrupter ... I have children and some people don't look at my life — as far as my dad being who he is and as far as my journey and where I've come — [as a] nice thing. And it was hard for me to let that guard down and let them in." Matthews: "When you're looking at these guys and these girls and they're on defense, they don't want to fight, they don't want to kill. That's the given of what happens and then when I come in, someone after knowing where I've been, will use that as an out. 'Well, you better be glad that Ameena told me to fall back because if it wasn't for her that came in and stopped that, then I would have done what I needed to do to take care of my business.'" Matthews: "Chicago has always been notoriously known for street organization, crimes and murders and all that but what's so profound for me is to see that, as I'm growing up, that death is inevitable and we're not afraid of it ... In that casket, I'm looking at 13, 14, 15, 18, 19-year-old men and women dying on the streets of Chicago. That's what's so profound to me about the violence. "People look at it and they say, 'Oh, well, Chicago has always been violent.' But Chicago has not always had the youth violence and the youth death as high as it has been for the last several years. [That] has struck my nerve and my heart and my soul."